* Bus tickets for KKKL are currently on hold until further notice. 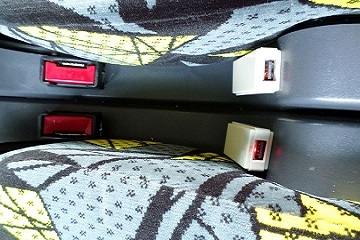 Customers are encouraged to check out other bus tickets available on our website. 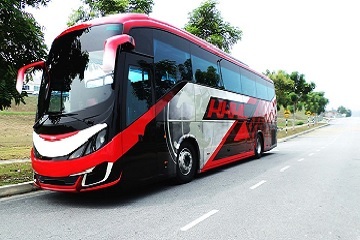 KKKL Travel and Tours Singapore provide the most ideal bus trip and best customer service to all of of their passengers.It started with only one 44 seater express bus and grow to become one of the most popular bus operator with over 100 express buses in Singapore and Malaysia. KKKL offers bus trip daily from Singapore to KL, Singapore to Malacca, Singapore to Genting Highlands, Singapore to Port Dickson and Awana Resort at Genting Highland. Drop off point in Kuala Lumpur is at Chinatown and for bus from Singapore to Malacca, the drop off point will be at Melaka Sentral . KKKL express bus from Singapore to Genting arrival point is at Mushroom cultivate transport terminal and Awana Resort, Genting Highland. 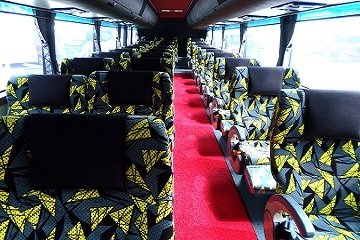 KKKL Express bus comes with 27 seater super VIP seats, with large seats and ample leg room space. All KKKL Bus trip will have short break along the interstate highway rest stop and they are very punctual in departure and arrival time if there are no unforeseen circumstances. Safety is well assured with all KKKL buses vehicle in latest model and excellent vehicle service record. Other than bus express services, KKKL also offers free and easy tour package to Malacca, Genting, KL, Awana Resort and Port Dickson. With over thirty years of experience and highly popular among travelers, KKKL is certainly one of the best choice in your list.